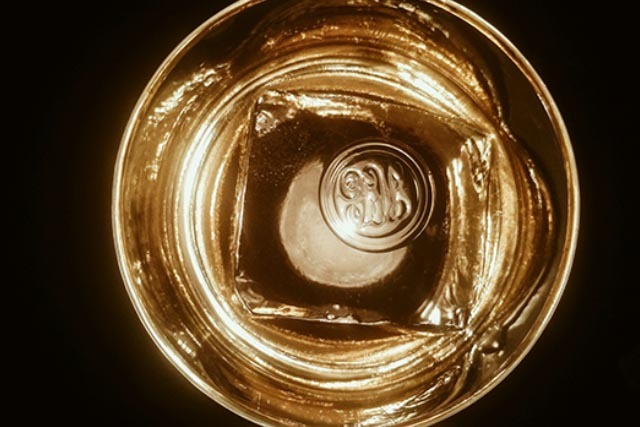 Rice & Gold Opens at Hotel 50 Bowery, Bottle Service at Blue Light and More Oktoberfest... | thirsty. Can you believe it? We’ve entered October – Month #10 (of 12). Maybe we should slow down time by drinking… Because when you’re drunk, you move in slow-motion, right? 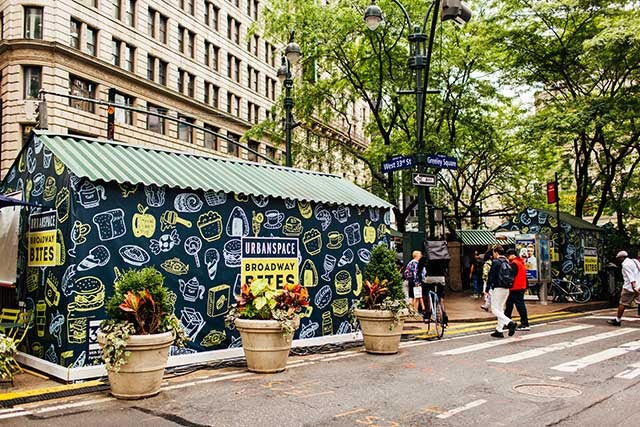 Hold on to time at one (or all) of these new happenings around town. For every Milk Punch sold at Handcraft Kitchen & Cocktails, $2 will be donated to Memorial Sloan Kettering Cancer Center to help fight breast cancer. Priced at $16, the Milk Punch is a mix of Mezcal, tequila, rum, absinthe, Velvet Falernum, pineapple, lime, lemon and grapefruit juice and zest, star anise, black pepper, cloves, all-spice and green tea, plus half gallon of milk used to clarify the cocktail. Taking two weeks to make, this colorless cocktail is complex in flavor with a smooth finish. Guests can also opt for a $25 Milk Punch Flight which offers the mezcal-based mix, as well as a gin punch and a whiskey punch. Following up on the success of the Rosé Bar Pop-Up, Rainbow Room welcomes guests to spice up sweater-weather season while absorbing sweeping views from the 65th floor of Rockefeller Plaza at their autumn-inspired Harvest Moon Pop-Up Bar. 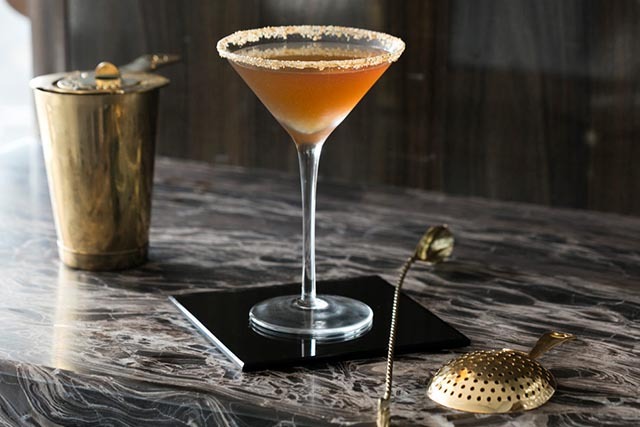 Pair a crisp apple or pumpkin-infused cocktail with one of the savory seasonal specials, and cap off the evening with a tipsy treat inspired by the sweet notes of autumn. Fall-inspired savory specials include Roasted Cauliflower and Pumpkin Gnocchi and “tipsy treats” like the Pumpkin Yodel, made with pumpkin spice latte ice cream, white chocolate and cranberry fudge; and Smoking Apple, made with stuffed baked apple, smoked caramel sauce and pecan crumble. The Pop-Up Bar is offered on select October nights: Friday, October 6th, Friday October 27th and Monday, October 30th. Doors open at 5:00PM. Proper attire is required. 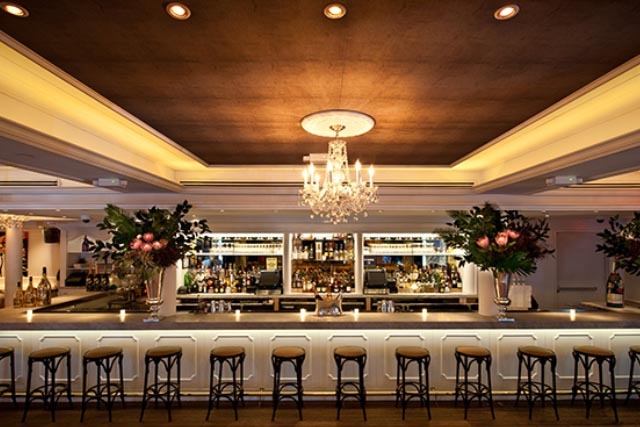 Meatpacking’s Bagatelle teamed up with Bacardi and Opera Gallery to host a Hurricane Relief Charity Cocktail Affair from 6:00PM to 9:00PM. Invited guests should purchase one of Bacardi’s new signature cocktails, La Isla, El Coqui or El Boricua at $17 apiece knowing that 100% of the profits will go to Global Giving’s Hurricane Relief Efforts in Puerto Rico and beyond. 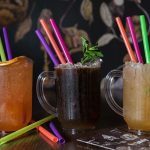 Not only will the most popular cocktail from the night remain on Bagatelle’s menu through year’s end; however, all proceeds will continue to help those in need. The prestigious Opera Gallery will be supporting the cause by showcasing over a dozen art pieces, including “East Village Morning” from David LaChapelle. 10% of the art pieces sold that evening will also benefit Global Giving. After three consecutive weekends of epic entertainment, Watermark Bar has extended the fall festivities for one more weekend – October 6th to 8th. Enjoy another weekend of Oktoberfest complete with giant soft pretzels, bratwursts and massive quantities of beer. 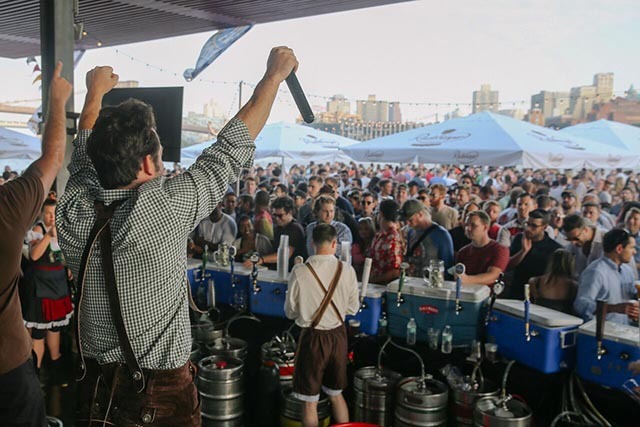 Get your game on with giant beer pong, corn hole and stein holding competitions. Meet the newest restaurant from Chef Dale Talde and the Three Kings Restaurant Group at Hotel 50 Bowery. Rice & Gold celebrate Chinatown’s distinct spirit, merging the old with the new – From the urban graffiti art installation designed by local artist, Mr. Ewok One to the Asian-American fare which showcases the diversity and vibrancy of our modern day country and the many immigrants who have settled here and now call America home. The dinner menu is comprised of a selection of dim sum, appetizers, vegetables, large format entrees, rice and noodles, with highlights including Whole Jerk Roast Duck with Jerk-hoisin sauce and Pickled Cucumber, Scallion and Steamed Buns. As for cocktails, menu highlights include the Endless Summer, which takes its cue from the Paloma, with tequila, yuzu juice, grapefruit juice, pear shrub and agave syrup; and the Little Pink, with Corvette with hibiscus syrup, sake and prosecco. 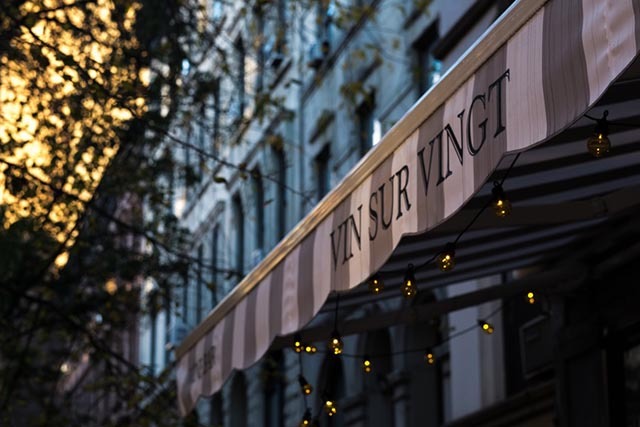 New York City’s only truly authentic French wine bar, Vin Sur Vingt opened a fifth location in Tribeca. 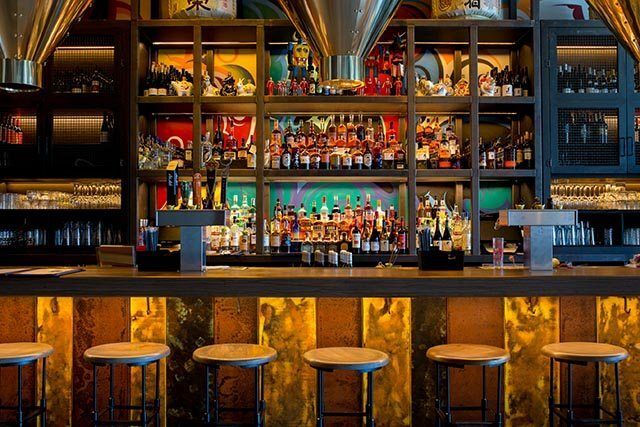 Like the other locations, the intimate space is personally designed to resemble the most authentic Bar A Vin in France. Paris-born Sebastien Auvet curates the wine list with 50 wines by the glass, encouraging experimentation for curious wine drinkers looking to learn about French wine. Auvet’s rotating wine list focuses on selections from classic regions like Bordeaux and Alsace to the lesser-known Corsica and the Jura, plus the Rhône, Loire, Burgundy, Languedoc and more. The list also features several organic, biodynamic and sustainable options. 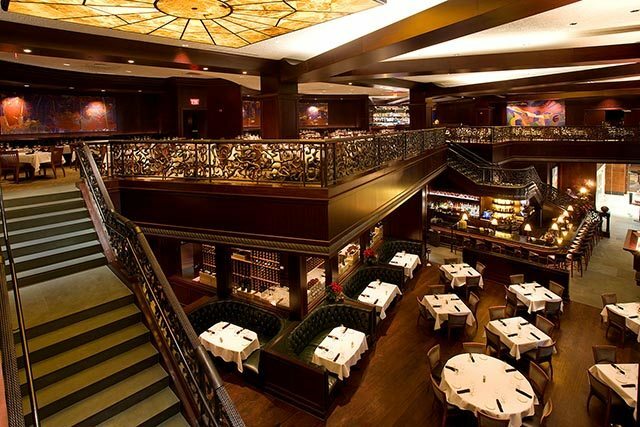 Beginning Saturday, October 7th, Del Frisco’s Double Eagle Steakhouse New York will launch weekend lunch. Ideal for a pre- or post-Broadway meal, diners can enjoy signature lunch favorites like the decadent Wagyu Beef French Dip, fresh Lobster Roll and rich Filet Medallions, alongside fat-infused libations like Bacon & Barrel, with bacon fat-washed Bacardi 8, Grade A Maple Syrup, Angostura Bitters, garnished with an expressed orange peel. Available 11:30AM to 4:00PM every Saturday and Sunday. If the neon blue light is on, so is the party. Enter the discreet, 70s-influenced upstairs space and load up on the bulk spirits program with a 2017 twist. Choose a spirit for the table (Virgil Kane bourbon, Ilegal Joven mezcal, Facundo Paraíso rum, etc.) in either 8oz or 16oz pours, or full bottle. 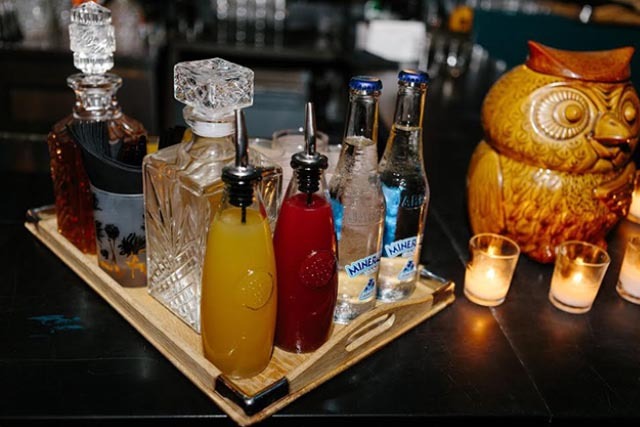 The selection will be served with an assortment of house-made cordials for pairing and mixing. This is cocktail-bar quality combined with bottle-service ease and quantity – Ideal for a great night of drinking with your crew.